Lemon balm (Melissa officinalis) is an herb with a long history of medicinal use. It is a member of the Lamiaceae (Labiatae) family and is native to the Mediterranean. Melissa essential oil smells like lemony citrus fruit with a hint of green floral and herbaceous undertones. There are numerous varieties of balm, and Melissa officinalis is the most well-known. The plant is a member of the mint family and has spread from its European origins to now being cultivated throughout the world. The Melissa plant goes by many names besides lemon balm, including bee, common, and sweet balm; as well as lemon Melissa, heart's delight, and honey plant. The name was given to the plant because beekeepers of yore would crush the leaves and rub them over the hives to get the bees to return to them. Being a member of the mint family, lemon balm is easy to grow and propagate from both the stem and root. The perennial Melissa herb can grow to about three feet high and is adorned with bright green serrated leaves that smell like lemons growing from hairy square stems. Small white or pink flowers bloom on the plant during the summer, enhancing the lemony fragrance. The essential oil is steam distilled from the plant's leaves, flowering tops, and stems. The resulting oil is usually a pale yellow, although sometimes it has a greenish tint. Melissa essential oil blends well with floral oils like lavender (Lavandula angustifolia) and rose otto (Rosa damascena), citrus oils like bergamot (Citrus bergamia) and orange (Citrus aurantium), frankincense (Boswellia carterii), and many more. Why is Melissa oil so expensive? There are some essential oils that are difficult for many people to get their hands on because their high costs are prohibitive, and Melissa is one of those oils. It takes a large quantity of plant matter to make a small amount of oil, which drives up its cost. One pound of lemon balm essential oil requires approximately three tons of source plant material. This makes it nearly as expensive as rose otto, which requires 60 thousand roses to make a single ounce. Because of this, lemon balm essential oil is often adulterated with cheaper oils like citronella or lemon. It is imperative to always purchase oils from a reputable source that can give chemical analysis of their oil batches to be on the safe side. Although the plant is quite aromatic and it is easy to release the fragrant volatile oils by crushing it between your fingers, it takes a lot of plant matter to make a small amount of actual oil. This is reflected in the expense. However, if you can splurge, it is well worth it. Melissa is a wonderful choice for almost all skin types, including aging, dry, normal, oily, and sluggish skin. Since the oil is so expensive, using lemon balm hydrolats can be a better choice for many people. Hydrolats are the watery distillate that is left behind after volatile oils are distilled from the plant material. Although they come from the same things and traces of the essential oil can be found in them, they contain different properties and are more gentle than the oils themselves. The hydrolat of lemon balm can be used for a wide variety of applications for the skin. Use it to formulate creams, gels, lotions, sprays, and tonics. You can also use it for compresses and poultices, and add it to your bath. Melissa oil can be used sparingly in the kitchen to flavor food and drinks. 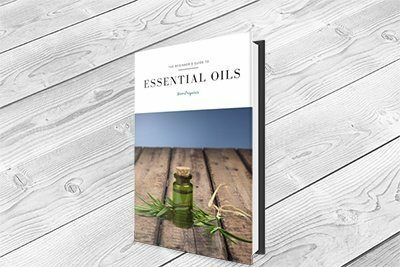 Valerie Worwood's popular work, "The Complete Book of Essential Oils and Aromatherapy" includes a punch recipe that calls for both the plant material and a drop of the oil, which is all that is usually needed. Because of the cost, you may wish to use fresh or dried lemon balm in place of the oil, and there are plenty of ways to do that. Lemon balm is used in the food and beverage industry, including soft drinks and alcohol. You can use the herb in a multitude of ways, ranging from using it in salads, sandwiches, and stuffings to marinades, jams, and jellies. Another popular use of lemon balm dates back to 1611. In Paris, Carmelite nuns came up with a recipe using Melissa that served as both a cologne and an internal remedy known as Carmelite water or Eau de Carmes. Add all of the ingredients to a jar big enough for everything that will leave just a little headroom. Put the lid on tightly and shake well, then place it in a warm area where you will see it to remember to shake it every day for three weeks. Once the three weeks are up, strain the liquid through a cheesecloth or coffee filter. The medicinal use of lemon balm dates back to the days of Dioscorides and Pliny, both of whom said the leaves "being applied, do close up woundes without any peril of inflammation." Gerard likewise stated it "glueth together greene wounds." Paracelsus, a Swiss physician born in the late 15th century, thought that "primum ens melissoe" could bring back youth, which is a lot to live up to. While it may not make you live forever, there is a lot of anecdotal as well as scientific evidence of the many benefits the plant provides us. Melissa oil is well-known for being soothing to the nervous system. Lemon balm tea has been used for this purpose for years. Steeping the leaves and enjoying the infusion can reduce stress, help fight insomnia, and promote a sense of well-being, among other things. Besides aiding in cases of depression and nervous tension, Melissa may also be used for shock, migraines, vertigo, and may reduce hypertension. You can enjoy this benefit by diffusing lemon balm essential oil along with other oils that have a calming effect on the nerves like lavender (Lavandula angustifolia), sweet orange (Citrus sinensis), and vetiver (Vetiveria zizanioides). If you can't afford the oil or run out at a dire time, make yourself a comforting tea with some Melissa leaves, a little lemon and some honey to experience a lot of the same calming effects. When nervous conditions arise, the physical repercussions are often centered around the digestive system and come in the form of indigestion, nausea, and flatulence. Melissa tea and supplements like Melissa Supreme are available on the market in addition to the oil. Melissa essential oil can be doubly helpful in these cases, as it has long been utilized for digestive complaints and can ease these, along with treating the underlying nervous issues that cause the digestion problems in the first place. The anti-inflammatory qualities of the volatile oils in lemon balm were documented in a study in 2013. Researchers induced edema in the hind paws of rats and then administered oral doses of the distilled oil to the rats to measure the inhibitory effects. Mice inflicted with type-2 diabetes were studied in 2010. Various essential oils were administered to determine hypoglycemic activity. Melissa essential oil may be one of the most expensive oils, but it is hard to beat when it comes to calming the nervous or digestive system. If you suffer from occasional nervousness or anxiety, reaching for lemon balm oil can be very effective at calming things down. A little goes a long way, and it comes with a lot less side effects than other traditional self-medication methods! Because of the high cost, you may choose to use the hydrolat or actual plant material instead of the oil, both of which offer many of the same benefits for a fraction of the price.